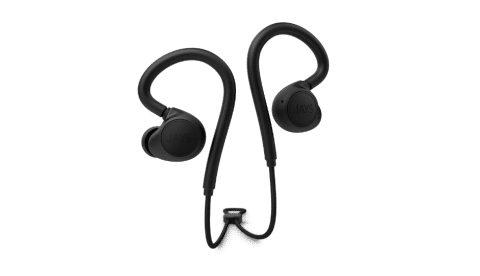 The m-Six wireless earphone supports fast charging that is said to powers 75 percent of its battery in 45 minutes, with audio playback of up to 5 hours. Jays has launched its new m-Six smartphone in India that is priced Rs 7,999. The device sports 6mm dynamic speakers and has 16 Ohm impedance. The m-Six Wireless is a pair of earphones designed and engineered to be the perfect earphones for any motion activity as well as for everyday life. There are no sensors or activity tracking features, instead they are built with the purpose of creating a pair of earphones that will make you forget you’re wearing earphones. m-Six Wireless is designed to be secure and well-fitting inside any ear. They are also made to make the cable basically disappear, relieving the user from irritation and dangling remotes and battery boxes when running, working out or simply moving. m-Six is designed with the inside surface of a typical ear to optimize the inside earphone volume and to keep the earphone securely in place. The electronics inside m-Six are made to be as small as possible to fit everything in the right earphone side. The m-Six uses fast charging which powers 75% of the battery in 45 minutes. Playtime is 5 hours. The plate, with JAYS logo, on the right side is also a universal single-button for controlling and powering the earphones On/Off. m-Six contains all basic features as well as functions as forced pair mode and voice assistant. Multipoint make it possible for m-Six to pair and connect to two devices simultaneously. The m-Six is available in a more down-saturated color palette which differentiate it from similar products on the market. The four colors released are dusty rose, moss green, sand and black. The texture is kept using JAYS signature matte.